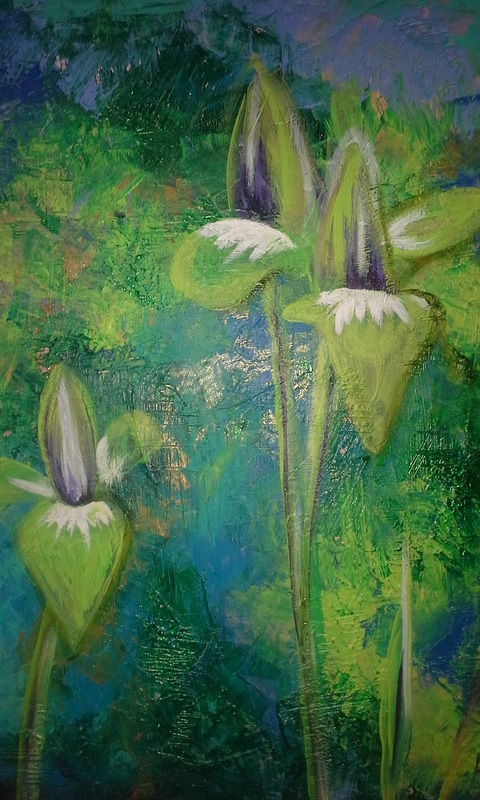 The objective of the Garden Gals is to promote an appreciation of nature and urban green space by sharing our visions through paintings. This exhibition is to celebrate our ten year anniversary as a group. 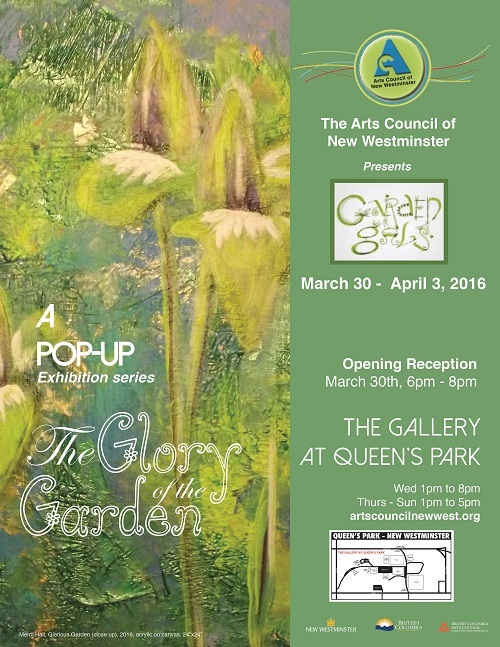 This exhibition features floral paintings inspired by New Westminster gardens. The Garden Gals are an active art group of sketchers and painters, unique in that we all have a passion for art in nature, as we are keen New Westminster Gardeners. We are a subgroup of the long standing New Westminster Horticultural Society (NWHS) established in 1934. Membership of NWHS is a requirement to belong to our sketch group; the NWHS sketch group, which later developed the show name of ‘Garden Gals.’ Ten years ago NWHS members held a drawing session in a member’s garden, there was sufficient interest to start a subgroup.